We’re in the midst of changing vehicles from Korean to American. With our second child heading off to college soon we will be able to do just fine with a smaller capacity car. And with this change we are going green with propane. There are over 180 propane filling stations in this country the size of West Virginia, so this is a very convenient way to save. And with propane at just half the cost of gasoline, we hope to reduce our fuel expenses significantly. Our “new” car is a 1998 Chevy Silverado 2500. Big motor and hopefully fewer parts that will break on a regular basis. 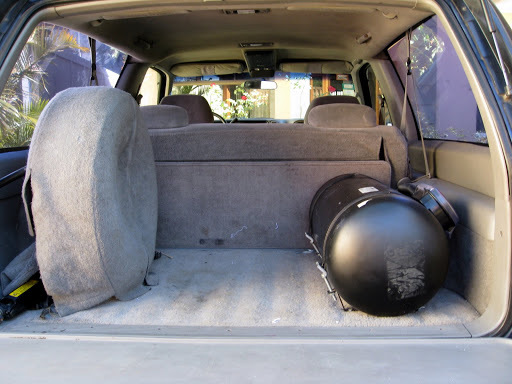 We just have to get used to riding around with a potential-bomb in the back.